Jasmine 'Jaz' Parks is an agent with the CIA. At 25 years of age she is already a very experienced and very respected member of the small department in which she is assigned having had quite a few missions, most of them very successful. She has led a team for a while and easily could again or, if needed, she could operate well on her own. It is not through any lack of talent or ability or drive that she is now the "assistant" to a senior agent. In fact, it is because she is so good that she is seconded to him. Vayl is the name of the primary agent and he is easily the best that the Agency has ever had. During the night, that is. During the day he is particularly vulnerable and that is where Parks comes in. She is his assistant and his backup and, when the sun is shining, his bodyguard. This is a world in which outré creatures exist. Witches use magic. "Weres" change into animal forms. Ghosts still hang around long after their former bodies are dust. And vampires, like Vayl, stalk the night. In Vayl's case, he has done so for 300 years and many of those have been in the line of work he still does and still enjoys - being an operative for his country. For at least 50 years his country has been the United States and with his supernatural abilities he is the best the nation had ever had in that capacity. Still, he has his vulnerabilities and of late he has realized that having a human helping him and watching over him during his vulnerable period each day is growing more important. His legend is impressive and so is the list of those who would like to shove a stake through his heart. That is where someone of Parks' abilities is so vital. She really can, and does, take care of herself and now that she has for the past six months at the start of the recorded adventures been teamed with Vayl, she has on several occasions taken care of him too. The world in which Parks operates has despots and crooked politicians and gangs and warlords and terrorists and so on. It also has many nasty and scary things that go bump in the night. 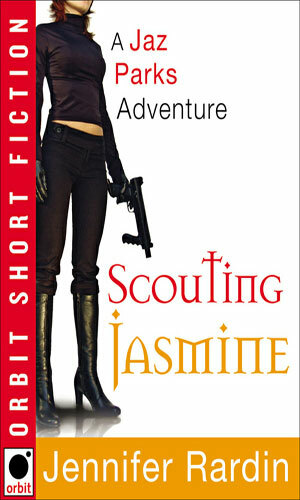 Jaz Parks and her boss, Vayl, hava a mission to hunt down a crooked senator who is working with an Arabic terrorist who wants to bring a plague to the US. Jaz Parks must take the role of a belly dancer at the Corpus Christi Winter Festival to find a vampire who stole an important piece of biotechnology and now wants to sell it. Jaz Parks and Vayl have a pretty intense mission ahead of them made even more complicated by the fact that one of their team is likely a traitor. A Vampere Trust is a commune for vampires, next to impossible to infiltrate and definitely impossible to get out of alive. That is just the assignment for Jaz Parks as she must do that to find out what is going on in her boss's old haunts. It is to the Highlands of Scotland that Jaz Parks and her boss, Vayl, head to stop a plot by the Weres to kill the new leader of the Coven using an assassin as good as Parks and Vayl. Word is some Gnomes are messing with NASA's Australian space complex and Jaz Parks is sent with Vayl to stop them but the voices Parks hears are just in her head and they are loud! In Morocco to get their hands on an ancient artifact, Jaz Parks and Vayl start off the mission badly when Vayl wakes up calling Parks by another woman's name, one that is definitely not a friend. 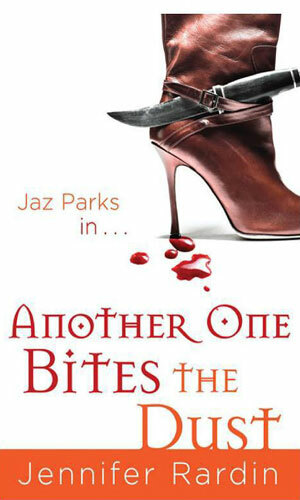 Back in Romania, Jaz Parks must "save a ghost, rescue a demon, and cheat the Great Taker out of a soul". And defeat the nastiest opponent she had yet to face. 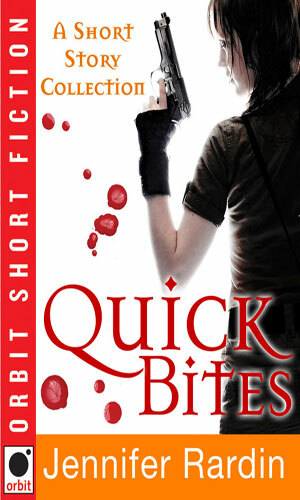 Published separately as well as in the collection Quick Bites. A prequel to the first novel. 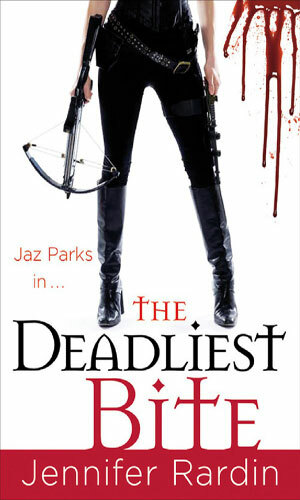 Even as Jaz Parks is tracking a very powerful vampire for elimination, she is also being tracked by Vayl. Published separately as well as in the collection Quick Bites. 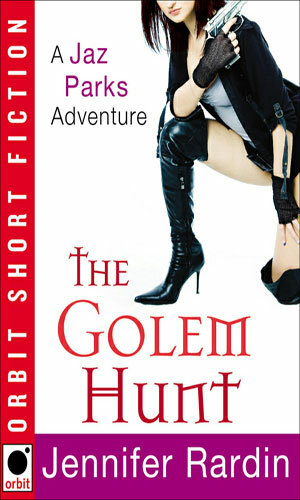 A rabbi has created a golem to protect his congregation but it is a bit extreme in its fulfillment. Takes place between Bitting the Bullet and Bitten to Death. Published separately as well as in the collection Quick Bites. Vayl and Jasmine have a romantic evening together. The story is told from both viewpoints. Takes place after Bitten to Death. Is this really a spy series? Yes. It is definitely not an espionage series because those kind of operatives move in the shadows with secrecy being their stock-in-trade. Jaz Parks is seldom like that. I mean, she can sneak when she has to but inevitably she is gonna pull a gun and shoot something. Or someone is going to shoot at her. And without a doubt someone is going to mess up her latest rental vehicle. Car, truck, moped, you name it, if she rents it there is a better than not chance it is toast. I liked that. This series is about a world in which vampires and werewolves and witches and other outré creatures live. Humans for the most part do not like them and want them removed and these creatures often like to consider humans as chattel or lunch. Jaz Parks' job is to keep them in line and take them out when they do not behave. It is an action series and it is fun.